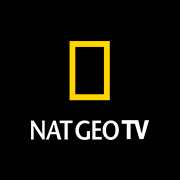 Nat Geo WILD presents a week dedicated to nature's fiercest felines-big cats. These creatures of magnificent strength, ferocity and beauty are rapidly facing extinction. Get closer than ever to lions, tigers, cheetahs, panthers, and more as you share in their triumphs, defeats, and epic struggles to survive. See how big cats change and adapt to the merging of the continents that could put African, Asian and American big cats into one "hunger games." One out of eight lions survive into adulthood and those that do enter into a game of kings, as each bloodline fights for its ultimate survival. Cats and dogs: they've figured out how to live in harmony under our roofs and in our back yards. But in the wild, their story is different. A lioness and her cubs make the odyssey to find safety and security after escaping two nomadic males seeking a pride of their own. Competing prides of lions stalk their prey, the deadly Cape buffalo, whose 2,000 pounds of hooves and horns are a match for even the toughest of lions. Big cat expert Boone Smith explores each stage of a lion's kill: the stalk, the pursuit, the jump and the bite, all leading up to the final face-off. Deep in the heart of Africa, three male lions are coming into their prime with much to prove. Meet 5-month-old Moja and his fierce lioness mother, Nyota, who survive together without the security of a pack. Veteran big cat expert Boone Smith explores each stage of a lion's kill: the stalk, the pursuit, the jump, the strength, and the bite. A team from National Geographic tracks the mysterious jaguars of the Pantanal in Brazil. One pride of mothers must fight to save their cubs from two male lions bent on killing them and claiming the pride as their own. Lion v. Cheetah sheds new light on the dark underpinnings of the relationship between two of Africa's top predators. Filmmaker Bob Poole follows a mother cheetah determined to keep her cubs alive. This is the moving story of two mountain lion mothers raising their cubs outside of Jackson Hole, Wyoming. Two tiger sisters battle it out for domain over their territory and the eligible males in their midst. Discover the story of Machli, a legendary tigress that went down in history as one of the most well-known wild tigers in the world. In the Kruger National Park, a megapride of 26 lions struggle to survive. Can they hunt enough food for their large and unruly family? In the heart of India, a tiger family battles for dominance in the ruins of a lost empire. Lion prides battle for territory. Rogue males trail the buffalo, in search of their own prides. Storm Cats is an intimate portrayal of lion and cheetah families, pushed to the edge by nature’s raw power. Only those that can adapt will survive. Cat Fight reveals the secret tactics of the animal kingdom's most ferocious feline fighters and fights from Africa, the Americas and beyond.